Plan Your Adult Birthday Party With These 5 Great Tips! Many people think that big, fun birthday parties are just for kids. But why should children have all the fun? Every year of your life deserves celebration, and there’s nothing wrong with having a big birthday party as an adult. But planning an adult birthday party can be tricky. Your guests lead busy lives, and with their commitments to their kids and careers might not get to go out very often. As such, your party needs to impress. 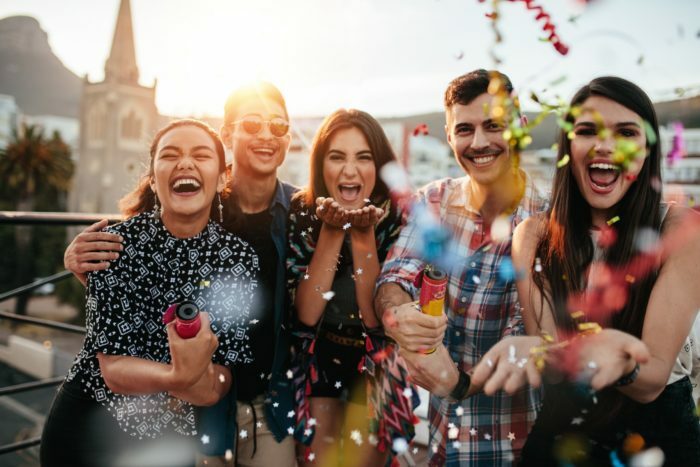 Thankfully, the team at Hollywood Banquet Hall is here to help with some useful tips on planning your adult birthday party. Every party needs some food, and great event catering will certainly impress your guests. Remember, you’re an adult now! Don’t just go the easy route and order some pizzas like you would for a kid’s party. Instead, get some classy catering for your birthday party. Even if you just get some bite-sized hors d’oeuvres, your guests will be thankful to have some delicious dining. Nothing gets a party started like some great drinks, and setting up a DIY cocktail bar provides plenty of fun for your guests. Your friends will be able to create some delicious drinks as soon as they waltz into your party, providing the perfect start to a killer party. You’ve likely had cake at every birthday party you’ve attended, so why not spice things up with some decadent desserts? You might want to try something different like a make-your-own ice cream sundae bar, a spread of delicious bite-sized pastries, or even some fruit-filled pies. And if you decide to have birthday cake, be sure to use a unique recipe! Adult parties are great way to have fun with your friends, but remember, many of them have kids. Getting a baby sitter for the night can be a big hassle, and it’s nice to help your friends out by letting them bring the kids along. We recommend setting up a “kids zone” at your birthday party, hiring one babysitter to watch all your friends’ kids to keep them occupied during the event while you all have fun. Remember when you were a kid and you received a goodie bag after a birthday party? Well, even adults like getting a nice parting gift post-party. Even something simple like a handwritten thank you note and some gourmet chocolates will go a long way in showing your guests how much you appreciate them. Organizing your adult birthday party can be tough, but with some careful planning and creative ideas you’ll end up with a successful event. And if you’re looking for a birthday party venue in Los Angeles, consider Hollywood Banquet Hall. Our event venue offers affordable accommodations and beautiful decor perfect for social events like birthdays, anniversary parties, quinceañeras, and more. Contact Hollywood Banquet Hall today for more information on booking and availability.